I love to cook; it is never a chore. I pore over magazines, recipe books and talk about food and cooking maybe just a little too much. Whilst I can cook I am certainly no baker, so please email your delicious yet simple cake and slice recipes – the best will be posted and you will win a lovely tonic parcel! Please leave a comment at the bottom of this blog stating your favourite quick & easy recipe (and email the recipe to me) to WIN a gorgeous Murchison Hume Laundry pack valued at $63.90! So here is the first recipe to share with you: Frittata! A frittata is a rustic omelette, and you can vary the ingredients according to what you have on hand. We often have this frittata. I separate the egg whites and whisk them into a dense foam, giving the frittata great height. This recipe for frittata uses leftover roasted vegetables. Chop the roasted sweet potato and onions into 1cm slices. Chop roasted carrots into 3cm chunks. Separate eggs, add salt to the whites and whisk until you have a white foam. Fold the whites into the yolks, adding the sour cream, cheese and parsley. Spray cooking spray into the pan and add capsicum, sauté until nicely charred, remove and put aside with other vegetables. Heat a 26cm heavy frying pan and spray with oil. Whilst on a low to medium heat pour the egg mixture into the heated pan, carefully add the vegetables paying attention to presentation. In my round pan I placed the sweet potato at 12, 3, 6, and 9 o’clock and then neatly arranged the remaining vegetables. Neatly place the fresh basil, and season with salt and pepper. Cook on a medium heat until the outer edges of the frittata are lifting away from the pan. Cut and serve into slices and serve with a crisp salad. I have long been a fan of ‘green cleaning’, before it was cool to do so. My favourite cleaning items are bi-carb Soda, salt and vinegar. In fact a cup full of each down your drain is my favourite way to freshen up the bathroom drains. If any of you share my weird love of all things domestic you will know of divine domestic diva Shannon Lush who offers as cheap and safe alternatives to cleaning our homes. But I must say I tire of the vinegar smell, yes it’s clean, but that strong smell is at times, well just too much! I first discovered Murchison-Hume organic house hold cleaning products when I was pregnant. I was able to keep the house clean, and nest despite 8 months of severe morning sickness. It is difficult to describe just how luxurious and delicious the Murchison-Hume cleaning products are. I once recommended them as a gift for my girlfriends mother-in-law. Her response was “Lou, I really don’t want to give her cleaning products as a birthday present!” To the unwitting that would be a fair comment, but Alison now knows the glory and decadence of Murchison-Hume products. Without a shadow of doubt, my favourite Murchison-Hume product is the “Heirloom” Dishwashing Liquid. Being able to display the gorgeous amber glass bottle by the kitchen sink may have something to do with this – yes people it looks fabulous, smells fabulous and performs beautifully! Is a welcome addition to any sink, especially those of us who have a love of all things beautiful! The pump dispenser is good quality and not flimsy like many generic brands providing effortless dispensing and little waste. (Refills available) Heirloom is a low-foaming formula yet cuts through grease and smells delectable! Max Kater developer of Murchison-Hume, beautiful Mum, and divine domestic diva says that Heirloom dish washing liquid “actually improves the condition of your waste water as it drains. Regular use also helps to keep your plumbing clean and odour free. Please post a comment to be in the running for a Murchison-Hume dish washing pack. The winner will be announced on Sunday 18th April. Have a fabulous day! There are few things I enjoy as much as a good cup of tea. I have been a tea drinker since I was 18 months old. My Great Grandmother, Nan-Nan Ethel Hurley believed that a sugary cup of tea with a drop of cool water was essential for a happy child! Many childhood memories I have involve sitting around a table with my grandparents, aunts and mum chatting, laughing and enjoying a fabulous cup of tea. I do make a great cup of tea, something so many don’t achieve; this is especially so in Adelaide with our Café culture dominated by coffee. Follow these easy five steps to a great cup of tea, and enjoy! Tease Tea available from tonic gifts, mention this blog post for your free tea infuser. Five Steps to a Fabulous Cup of Tea – with a tea bag! 1. 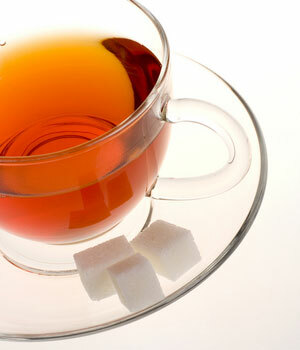 Many tea drinkers swear by loose-leaf tea, but I bet they use a tea bag for their morning cuppa! I love tea! I have many tins of loose-leaf tea, but my morning cuppa is always a Lipton Intense tea bag. Draw fresh water and fill your kettle, (filtered water is best) bring to the boil. 2. 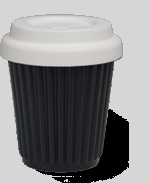 Select your favourite cup or mug, it must be white on the inside, otherwise it is difficult to judge the strength. I always choose the largest and finest mug, especially for my morning cup. Warm your cup or mug, simply pour about 60ml of the freshly boiled water into your cup, swirl around, once the cup feels warm discard. 3. Lay the teabag in your warmed cup or mug, drape the tea string over the side of the cup. Pour the freshly boiled water into the cup, and allow the tea to steep for 2 – 3 minutes. 4. The tea is now ready, add milk, sugar or lemon to your taste – but do try it black and without sugar, the taste is so delicate and delicious. My Summer break was to be just a few days, but I was taken by my folks new holiday home. 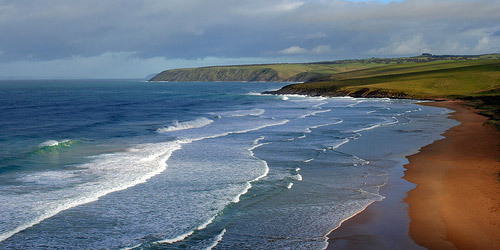 The spot is breath taking and located at Victor Harbor in South Australia’s Fleurieu Peninsula. We travelled from Adelaide the day of settlement, for just a few days and stayed for two weeks! I didn’t want to come home, back to reality. We are so blessed to have this wonderful escape, just an hour from home. The home was purchased fully furnished, so we were able to use it immediately without the fuss of furnishing or setting up the kitchen. The home was decorated in the late 90s, with blues and yellows. It reminds me of all the gifts I received for my 21st, I was mad for blue and yellow back then. There is literally nothing in the home that is not blue or yellow! Fortunately the walls are all painted the very calming and necessary white and the blinds are white, so decorating will be relatively easy, just a matter of paring down the blue and yellow and adding neutral pieces. Dad is contemplating a new floating timber floor (existing carpet – blue!). We have decided on a beige and white theme, a calming retreat for the family to escape. It has started with a clock by Alessi, in grey, which is really more of a beige. I have the same clock in my kitchen, a wedding gift from my Godparents. I have also given this clock on several occasions, it is neutral, classic yet modern and would fit most decor’s, call us mad but it is the basis of our design inspiration! Has been a little difficult getting back into life at home, after having such a restful Summer break. I spent the best part of last week in bed with a cold, but now that that has eased I have managed to get onto some de-cluttering and organising. My husband has crohn’s disease and his medical papers were multiplying, he commenced a new treatment last year and the paperwork had got out of control. I am pleased to say that I have created our family medical file! 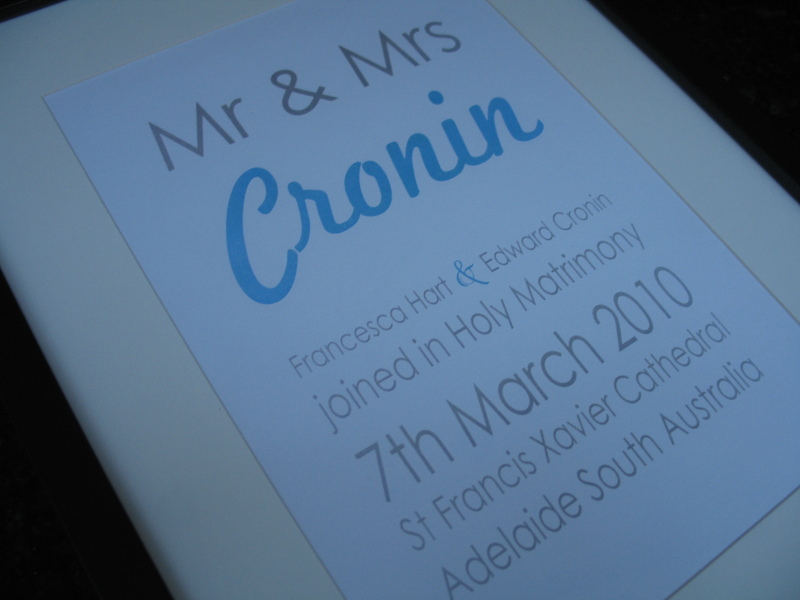 Initially it was to be just for Nick, but with my pregnancy and then Ava’s birth we all have need for our medical file. So happy with my effort. 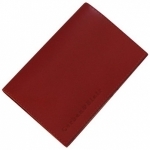 I have it all neatly filed in the super stylish Semikolon file folder box, in red of course! The semikolon range is now on sale, at least 30% off all prices. No need for codes, prices already heavily reduced. 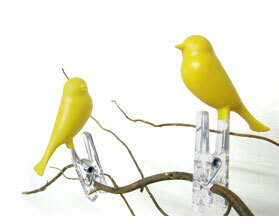 I am having to clear the decks for new homeware designs I am working on to sell at tonic. I am very excited about it and promise I will reveal the new products soon. I have found the Semikolon range to be fabulous for organising children’s rooms, I also have the private document box (pictured above in pink) by the phone as a catch all, we keep gift vouchers, envelopes, stamps and the like that left by the phone. I have also used a pink one for all Ava’s little special keepsakes, her hospital bracelets, early scan images and other little bits I just can’t bare to part with. Looking forward to you taking advantage of the huge reductions on the Semikolon range, prices are as marked. I am ready for your orders, be quick they stylish Semikolon range wont last at these prices! All Semikolon sales until Sunday 28th Feb 2010 (this Sunday) will receive a FREE Semikolon folder dividers, while stocks last. Congratulations to Silvana Mitrevski,winner of our Murchison-Hume Laundry Pack. You will be receiving it shortly, I bet you go straight home and start doing the laundry, these products are simply irresistible, brings out the domestic goddess in anyone! I was so impressed with the number of entries I received for this give away, thank goodness I was able to draw the winner with the assistance of random.org. My love of the white on white theme first evolved when I purchased my first home. Being a relatively small apartment in the the Adelaide CBD the decor was neutral with brilliant white walls, blinds and kitchen. I immediately decorated within my almost non-existent budget with a can of white paint and a tin of Dulux Whisper White. I painted all my photo frames, side tables, you name it – if it could be painted, I painted it white. It was so serene and peaceful, the perfect retreat from my demanding job at the time. As soon as I would walk through the door of number 43, I was calm and at ease. My white colour scheme was skewed after Nick and I married, we bought my parents home, after mum and dad had purchased a new home by the beach. We jumped a the chance of having more space and an extensively renovated home, Dad has a similar love for cream as I have for white. I now live in a home that is cream, the carpet is cream (nightmare! ), the bespoke living room cabinets are cream (fortunately a milky cream), the walls are cream (a very 90s yellow sponged cream). And as I am sure I don’t need to tell lovers of white, cream is a poor excuse for white! 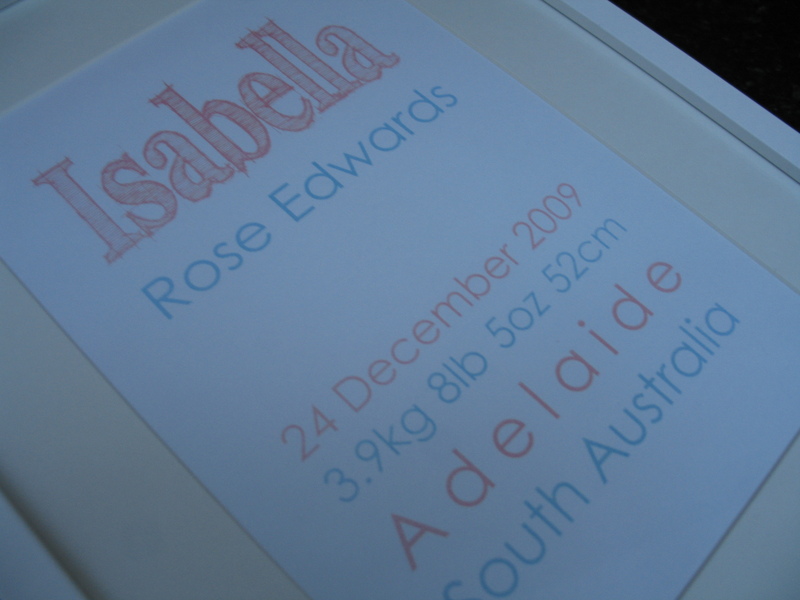 A favourite blog is The Design Files, by Melbourne blogger Lucy Feagins. Lucy featured the new White by Kikki K store in her blog. My two loves together in one store. Design inspiration aplenty, clean fresh lines, just the motivation I need for our Summer painting – lovely! Finally after two and a half years I have made plans to reduce the cream, and inject some much needed white, well buttery white so it goes with the kitchen cabinets. This is much to Nick’s horror, as we will be getting out the paint brushes ourselves. Check out the lush White by Kikki K for your self. I have loved bringing so many new products to Tonic this year, and so many of you have let me know how much you are enjoying your new purchases. Thanks so much for that, I do love to hear from you all! I thought it was time I compiled the top 10 tonic gifts, making your last minute Christmas shopping quick and easy. FREE GIFT WRAPPING UNTIL CHRISTMAS, just send me an email following your order to let me know to wrap your gift and what to write in your card. WIN – email me your name and address details to go in for a draw to win a Murchison-Hume Laundry Gift Pack Valued at $64. Email me by Wednesday 16th December 2009, to win this luxurious laundry pack. The parcel will be posted to the lucky winner on Thursday 17th December 2009, good luck! 3. 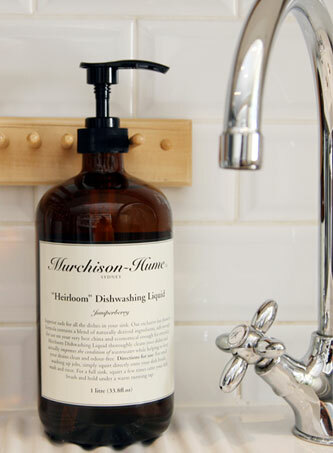 A long time favourite brand of Tonic Gifts is the luxurious Australian made Murchison Hume range. The Heirloom Dish washing Liquid is non-toxic, eco friendly, kid friendly and beautifully presented in an amber glass bottle with quality pump, $32.00. Choose from Juniperberry or Australian White Grapefruit. Order before 21st December for your BONUS Murchison-Hume Dish or Pot brush. Strictly while stocks last. 4. Our diamonte USB padlock pendant is hard for any girl to resist. The sparkling Diamonte USB Padlock Pendant, is a must for the fashionable workers out and about. $64.95, and free gift wrapping – too easy! 5. The beverage of choice in the Tonic office is always a strong pot of Tease Tea. My personal favourites are Irish Breakfast and Green and Jazzy. Give this luxurious tea to the tea lover in your life. Purchase any two tins of Tease Tea priced from $13.95, and I will bundle the tins into a tonic gift box hamper, including a bonus tea strainer. Offer while stocks last, and valid until 21st Dec 2009. 6. Semikolon is a cult German stationery brand. The File Folder Box looks so great on the desk, and keeps file neat and organised. 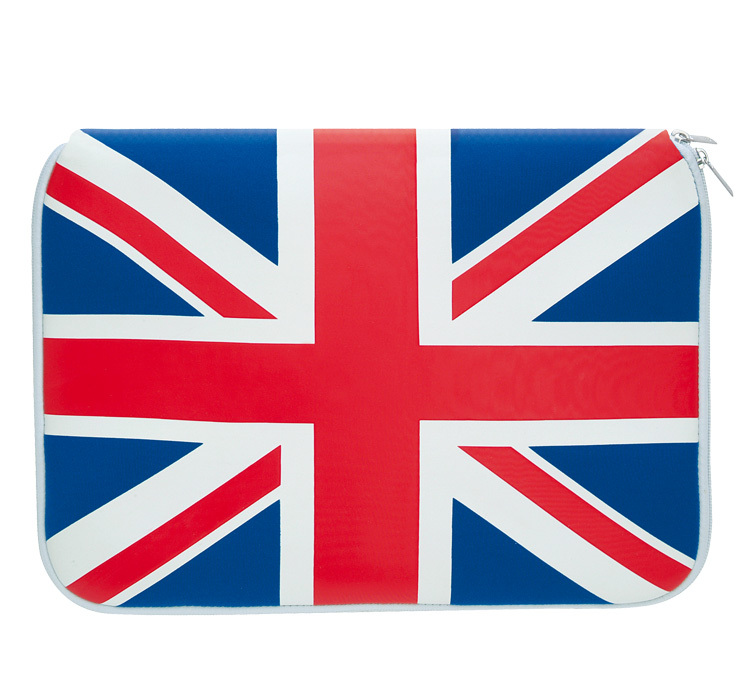 Great for home to sort the families bills and accounts. Neat, tidy and looks fabulous! 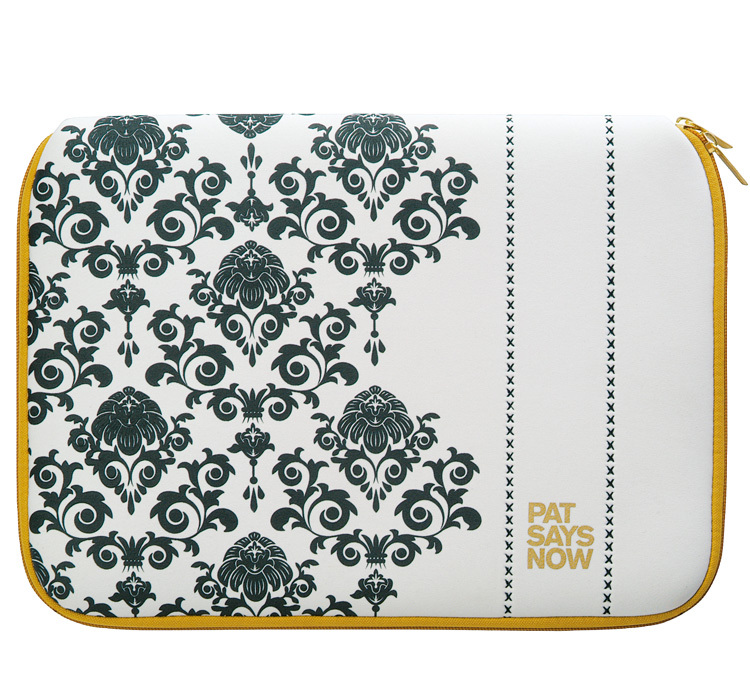 Normally $65, on sale now for just $55. 9. 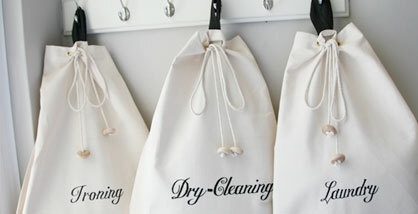 Bring a little class to your laundry with the range of Murchison-Hume canvas laundry bags. A bag for each member of the family, especially gorgeous are the embroidered ‘babies laundry’ bags, an ideal gift for the new baby, who will get so many squeaker toys and wraps! Remember to enter the competition for the Murchison-Hume Laundry pack. 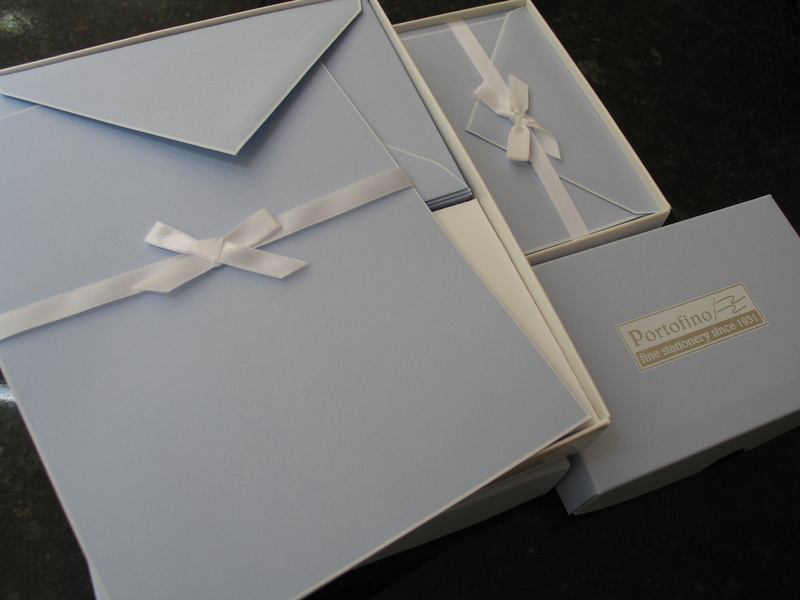 I am looking forward to beautifully wrapping your Christmas gifts and sending off your parcels.